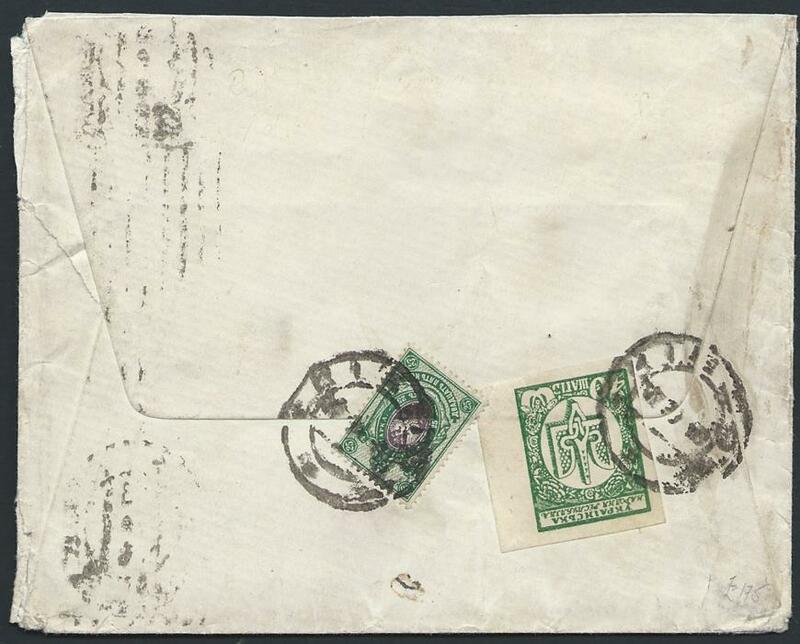 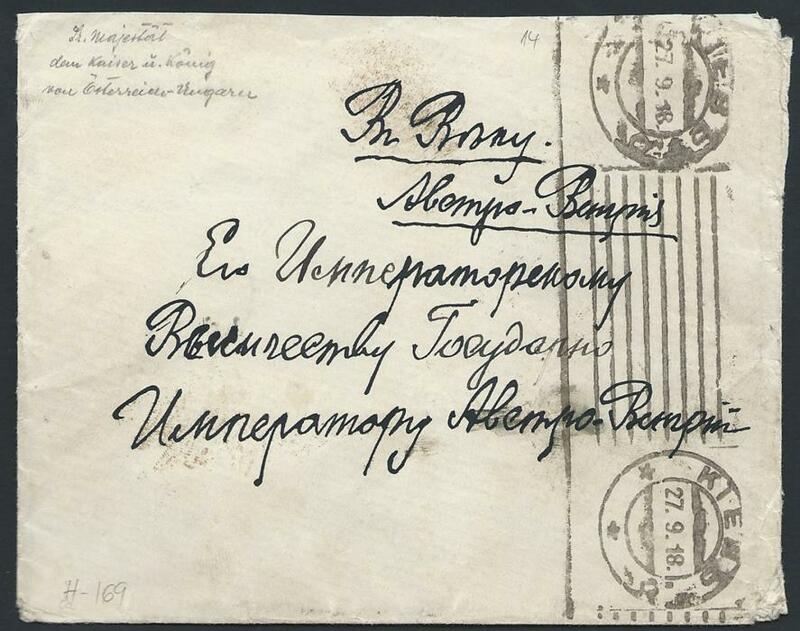 1918 Cover from Kiev to His majesty The King of Austro-Hungary bearing on reverse mixed franking Imperial Eagle 25k (1917 issue) and 40 sh green General issue for Ukraine 1918 both tied by Kiev cds. 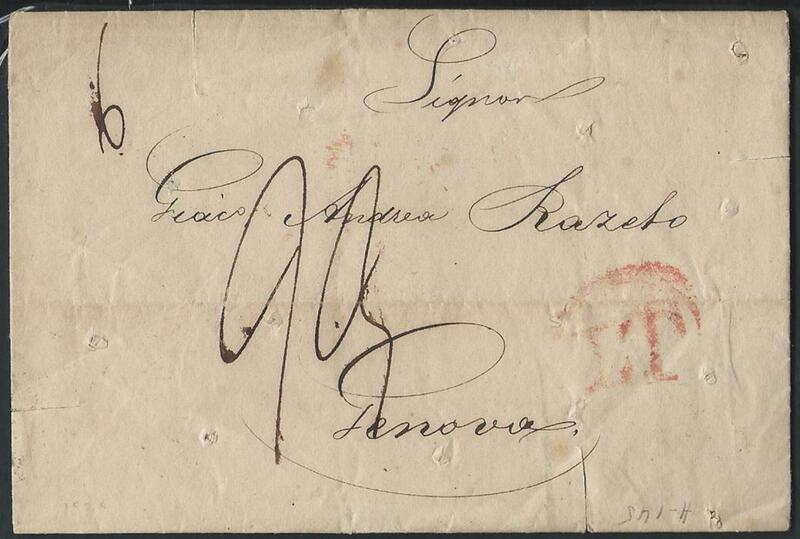 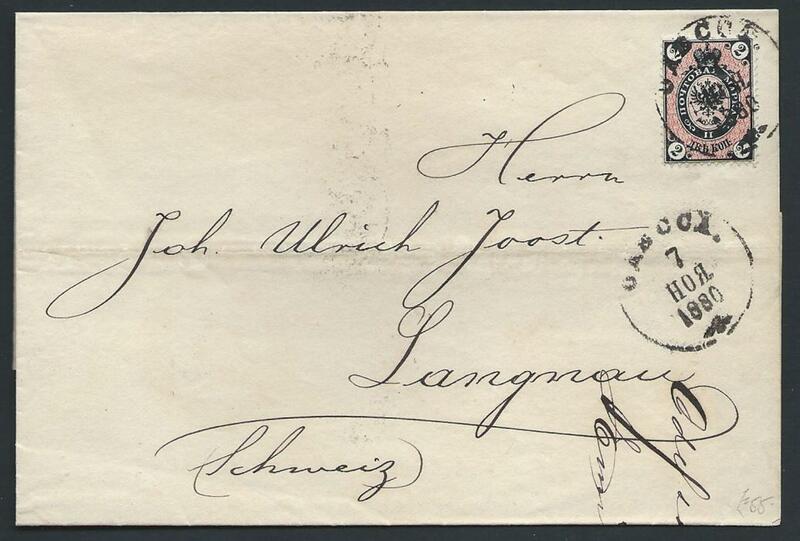 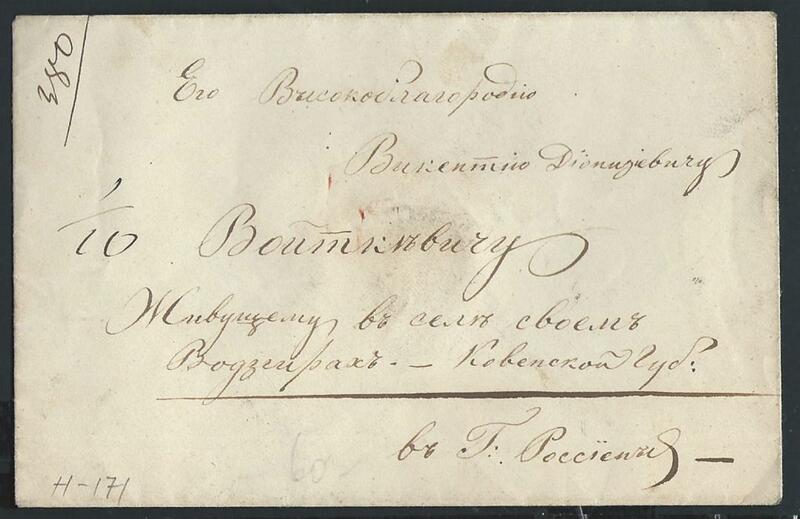 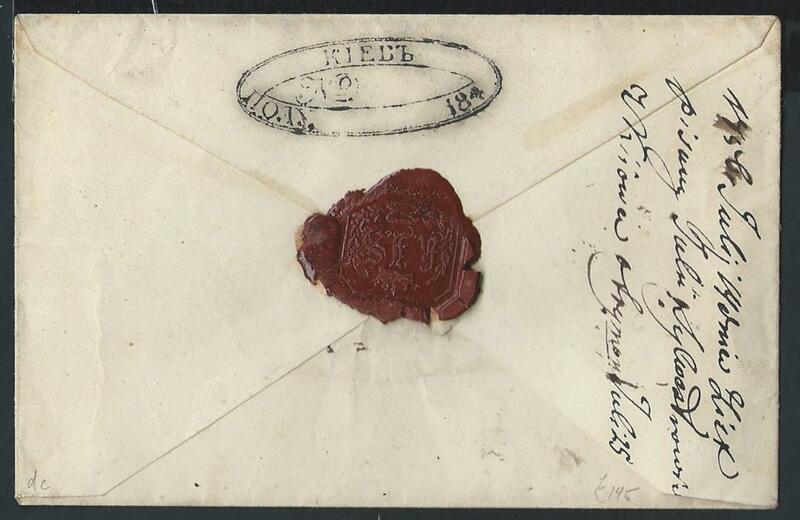 Kremenchug UKRAINE: 1909 cover to Odessa franked with local 3kop, brown (Ch#19) + 3kop (Ch#29) both tied by Kremenchug (20 May 1909) oval dated handstamp, sent via state post where was Imperial Eagle 3x1k+2x2k stamps applied all tied by Kremenchug cds. 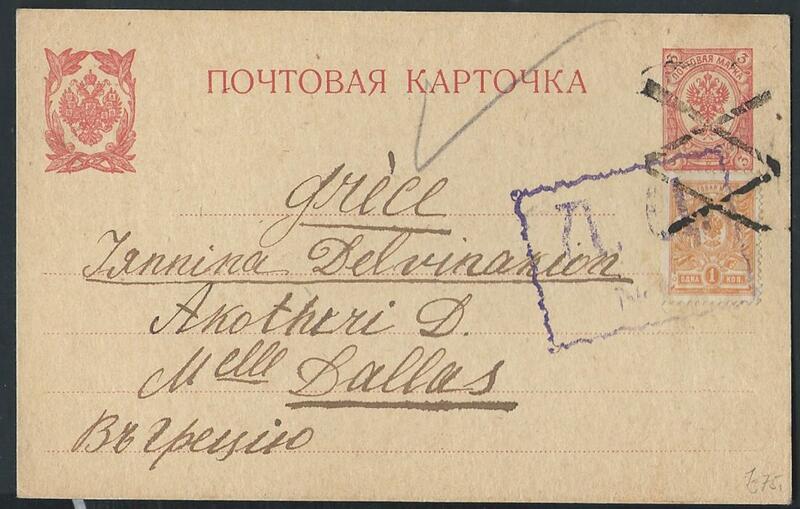 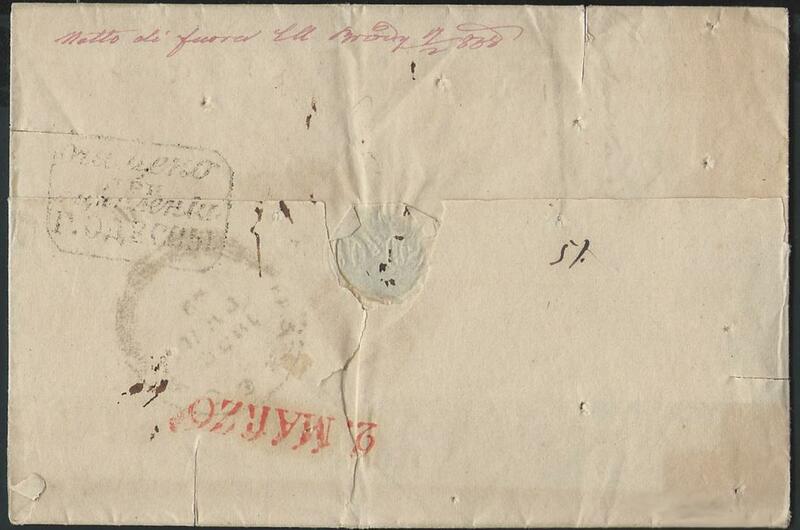 Reverse shows Odessa machine cancellation arrival.